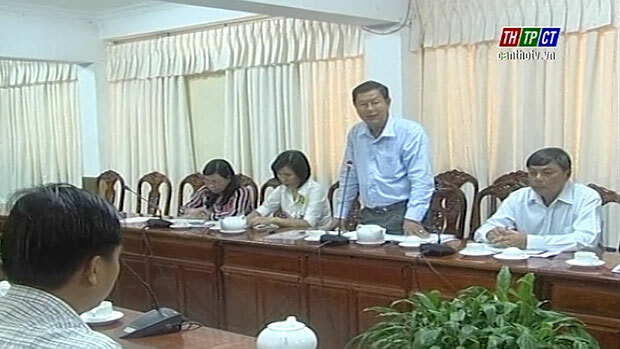 In the morning on July 21st Mr. Lê Văn Tâm – Standing Vice Chairman of Cần Thơ City People’s Committee and representatives of relevant units contact and work with Southwestern Association of poor people support. Contents of the program include exchange and agreement on statistics for the association to make plan for the governmental approval to implement 2 national target programs on new rural construction and sustainable poverty reduction. To effectively implement the 2 programs, the city needs about VND 200 billion to build 5,000 houses of solidarity, VND 20 billion to support production for poor households and support overall 3,850 household to escape poverty sustainably. Stating at the meeting, Mr. Lê Văn Tâm acclaims action of the association and assign office of the steering committee for new rural construction to promptly update statistics for the poor support association to complete projects and submit to the government for approval./.